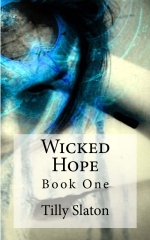 This entry was posted in Reviews and tagged Anita Blake, Death, erotica, Laurell Hamilton, love, paranormal romance, shape shifter, vampire, werewolves, zombie. Bookmark the permalink. There is truly little that is really similar to AB. Fore a similar level of violence I’m not sure there is anything as well done. High end violence, (No carnality) and different uber-vampires can possibly be obtained with Christopher Golden’s The Shadow Saga – 1st book Of Saints and Shadows . Less violent less carnality you have Susan Sizemore’s Laws Of The Blood series – first book Heroes. There are all so the books with the spirited heroine Sookie Stakehouse – now the bonk busting TV series Tue Blood – The first of which I think is Dead until Dark. Another spirited heroine is Georgina Kincaid of Richelle Mead’s Succubus series that starts with Succubus Blues. The is of course the classic Dracula Series of Fred Saberhagen with Holmes turning up in it as a Dhampire the first of which is The Dracula Tape. Another classic Vampire series is The Vampire Files, by P N Elrod, of which the first is Blood List. The series set in during prohibition, with the main character a vampire who is a hard boiled detective. Elrod also wrote the I, Strad (a Ravenloft novel) with a vampire in the classic Varney The Vampire / Stokeresque mold. She also at one time ran a Blake 7 fanzine, if you believe the blurb. There are also the Tanya Huff series Blood Lines and Smoke and Shadows. Of course if you want truly bad vampire fiction try Varney the Vampire which you can find freely available at Project Gutenberg Varney The Vampire HTML it was a penny dreadful. There was also Wagner The Werewolf but never found that one. Hunting for new author to read, I recommend reading collections of short stories such as those edited by Martin H Greenberg. Those who can write a good short story will often be able to keep you interested to the end of a book. If they cannot keep your interest to the end of a short story then there is little hope with a book. For Sort stories with a high degree of carnality there are the books edited by Cecilia Tan published by circlet Press. If you want to try fiction that plays with the concepts of the archetypes of Vampire and Werewolf and sets about creating a world or at least a counties for them to inhabit then you could try my blog – shirerealms . Those who cannot be named (The Harlequin) are significant to the story up until the latest book Hit List (4 or 5 books on). If you’re a real Anita Fan you should consider reading Arduer whic is essays about the Anita Blake Series. I just realized I am missing two books on my bookshelf:( bummer! So, I have three more to read. I just looked it up! Fantastic! I will purchase it this week:). Do you have any recommendations on other books that are similar to Blake?